THYSOL Group BV is a leading kinesiology tape and fascia equipment supplier. To make optimal use of the products and concept, THYSOL also offers educational programs on kinesiology tape- and fascia release products. THYSOL Group BV offers a total fascia related concept, with high quality fascia tools, various kinesiology tape products and educational courses distributed via our close connected partners in the local markets. THYSOL Group BV headquarters are based in Enschede, the Netherlands. THYSOL Group BV acquired and successfully maintains the role of the number one kinesiology tape supplier in Europe, which sell under the brandname CureTape®. 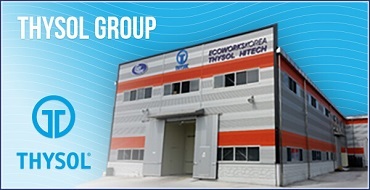 THYSOL Group BV cooperates with state-of-the-art manufacturing and R&D facilities in South Korea that complies with all of the internationally required certificates. Additionally, THYSOL Group BV expanded the brand family with CrossLinq® (Acupressure cross tape), VetkinTape® (veterinary kinesiology tape), FASCIQ® (IASTM tools, myofascial massage tools, silicone cuppings, and floss bands). Due to the fact that THYSOL Group BV is closely cooperating with the production facilities, THYSOL Group BV is able to partner with leading multinationals enabling THYSOL Group BV to distribute and supply the products worldwide as “class 1 medical devices”.